Who says your make-up bag can't be as glam as you are?! 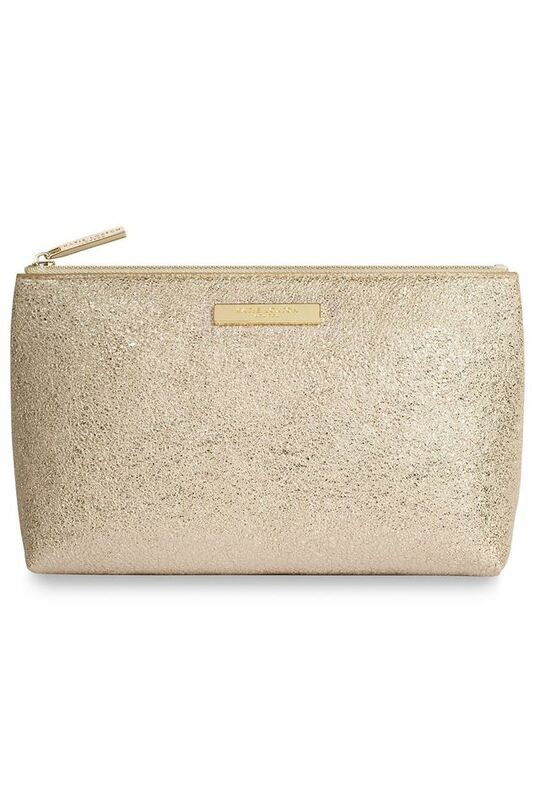 We love this shimmering golden number from Katie Loxton, this luxury make-up bag has plenty of room for your everyday make-up essentials, including brushes. Who says your make-up bag can't be as glam as you are?! We love this shimmering golden number from Katie Loxton. A gorgeous gold make-up bag with a soft crackle-like glistening surface, a gold logo bar at the top and matching zip fastening. Inside there's a pale grey fabric lining and a matching gold panel adorned with the brand logo. This luxury make-up bag has plenty of room for your everyday make-up essentials, including brushes. The perfect present or a tempting treat for yourself.